Faculty of Arts / Home / Mark Warren named winner of Killam Research Prize! Mark Warren named winner of Killam Research Prize! 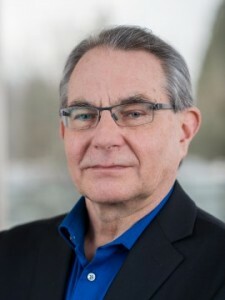 A big congratulations to UBC Political Science Professor Mark Warren for winning the Killam Research Prize for his exceptional work done in democratic theory! The UBC Killam Research Prize recognizes outstanding research and scholarly contributions. Dr. Warren was awarded the prize in the Arts and Humanities catergory. For more information on the Killam Research Prizes as well as the list of winners for 2017, please visit the UBC Research + Innovation website. Mark E. Warren joined the Department of Political Science University of British Columbia in 2004. As the holder of the Merilees Chair for the Study of Democracy, Warren was charged with establishing the Centre for the Study of Democratic Institutions in the Faculty of Arts, which he directed from 2004-2007. Warren received his B.A. from Lewis and Clark College, and his M.A and Ph.D. from the University of Toronto. He came to UBC from the Department of Government at Georgetown University, where he co-founded the Center for Democracy and the Third Sector. He taught previously at Northwestern University and Rice University.